The capability to capture, locally store and efficiently re-use ambient energy is crucial in a broad range of scenarios. Pushed by an increasingly pervasive diffusion of renewable energy sources, harvesting-based approaches are becoming ubiquitous in the power electronics and energy conversion areas. Applications range from power distribution systems integrating solar/wind resources into residential microgrids, to sub-watt wireless sensor nodes adopted in ambient monitoring networks. Power electronics represents the key enabiling technology for interfacing the energy scavenger with the system to be powered. Efficient and intelligent power management is the common denominator among the requirements of all harvesting-based systems. This newly started research program targets Energy-Autonomous Wireless Sensor Networks as a fertile terrain for near-future scientific advances in the field of power conditioning for energy harvesting systems. Wireless Sensor Networks (WSN) are expected to become ubiquitous within the next years in a number of applications such as surveillance networks, environmental/condition monitoring and intelligent building control. One of the crucial culprits standing in between research-level WSN’s and their widespread commercial diffusion is energy autonomy. Current commercially available wireless sensors for temperature or pressure measurements are equipped with standard primary batteries whose lifetime is typically declared as 1-2 years and under manufacturer-specified sensor usage. For prolonged lifetime or even complete WSN energy autonomy, energy harvesting techniques need to be systematically integrated at sensor level in order to enable each node to absorb, locally store and use ambient energy in an efficient manner. Recent advances in harvesting technologies, secondary batteries and low-power microcontroller units suggest that fully energy-autonomous wireless sensors are close to becoming tangible reality. Optimized energy extraction from non-conventional harvesting sources. Electrical characterization of the energy transducer is essential in order to formulate a tailored power extraction technique. The study aims at assessing the suitability of a number of non conventional energy transducers as potential energy harvesters, and to develop dedicated harvesting solutions. Study of different sensor-level power supply architectures. Each of the main energy harvesting technologies, namely solar, RF, thermal and piezoelectric, calls for a tailored power conversion solution. The study aims at establishing the most suitable combination of energy source/power supply arrangement, in consideration of the application and power demand levels. The investigation contemplates the use of hybrid systems composed of secondary batteries and supercapacitors as a mean to prolong battery lifetime by preventing deep or fast discharges. Development of low-complexity state-of-charge estimation techniques. 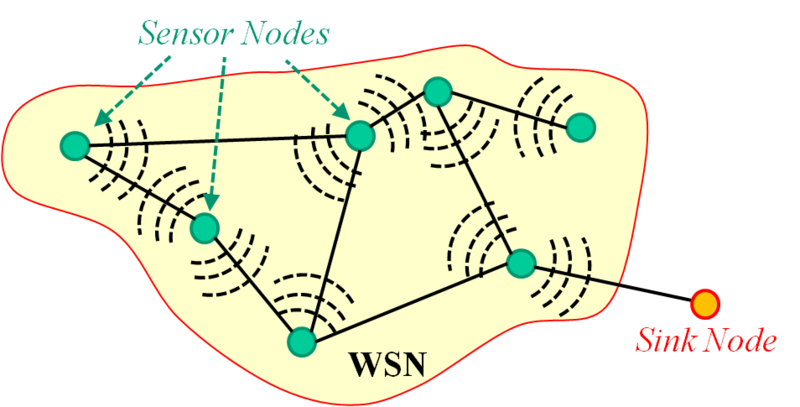 The capability of the sensors to reliably estimate their energy status and make such information available to the network-level distributed intelligence has many potential benefits, including more efficient packet routing strategies and duty cycling of sensor nodes, as well as improved network reliability. The research program contemplates the study of gauging methods for online estimation of the battery state-of-charge, weighting the required accuracy with the computational affordability demanded by real-world resources. Title: "Energy-Autonomous Wireless Sensor Networks: from Efficient Sensor-level Energy Harvesting to Intelligent Network-level Management"